Eating the local cuisine is one of the best ways to experience a country’s culture. Like most cuisines around the world, traditional Korean food has been influenced over the centuries by conquests and the conquerors. Traditional Korean foods include subtle elements from Japan, Mongolia and China that have enhanced the flavour of Korean cuisine. When you visit South Korea you will find plenty of traditional Korean dishes from barbeque (gui) to stews (jjigae) to soups (guk) to side dishes (banchan) and something sweet (dijeoteu) that will surely please your palate. If you are wondering what to eat in South Korea, then here are 10 traditional Korean food dishes that you must try. One of the more popular Korean food dishes, this dish (pictured above) consists of thinly sliced meat strips that are marinated to have a sweet or spicy, smoky flavour. 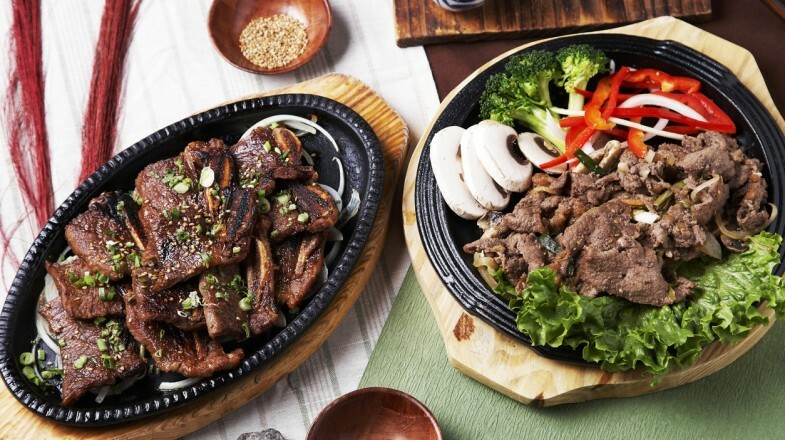 Bulgogi is prepared with either beef or pork and is generally grilled but also is prepared by roasting, broiling or in a stir-fry manner. Bulgogi is believed to have been part of the Korean diet since the Goguryeo period from 37 BC and was called neobiani during the Joseon Dynasty. Tip: Wrap bulgogi in lettuce wraps with a spicy pepper sauce called kochujang made from gochugaru (red pepper). 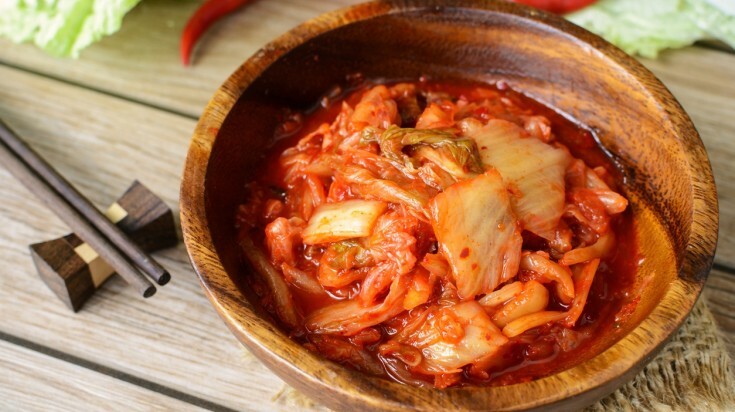 Kimchi is probably the most recognizable traditional Korean food in the world. Napa cabbage is more commonly used for kimchi although various vegetables can be fermented to make kimchi too. There are numerous ways to prepare kimchi based on flavouring elements during the fermentation process that can range from radish to fiery pepper to ginger. Kimchi dates back to the Three Kingdoms of Korea that ruled from 37 BC to 7 AD and is recognized by UNESCO as an Intangible Cultural Heritage of Humanity Item. Good to know: Kimchi is present at almost all Korean meals whether it’s breakfast, lunch or dinner. The region of Gyeongsang-do prepares a salty and spicy version whereas the region of Hwanghae-do is less spicy with pumpkin flavours. Haejangguk aka Hangover Stew is a delightful cure for the morning after drinking Soju. The hearty soup is generally derived from beef broth that includes dried Napa Cabbage as well as other vegetables. Around the country there are three main types of haejangguk that include an ox bone broth, another with sliced squid served cold and the third is prepared with a raw egg. When you are in Seoul the Cheongjin-dong neighbourhood is famous for their style of this exquisite dish. The soup dates back to the Goryeo Dynasty beginning in 918 AD. Tip: Haejangguk is best eaten after a night of too much Soju and fun. A nice cup of Moju, a medicinal drink made from 8 medicinal herbs is also recommended while eating this dish. Samgyeopsal, also known as pork belly is a typical Korean food that is grilled before eating. Traditional samgyeopsal is not marinated or seasoned before cooking but in recent years, Koreans have been marinating the meat with slices of garlic, onions and green peppers. The meat is very popular as South Korea cuisine and even has its own holiday which is the third day of March. 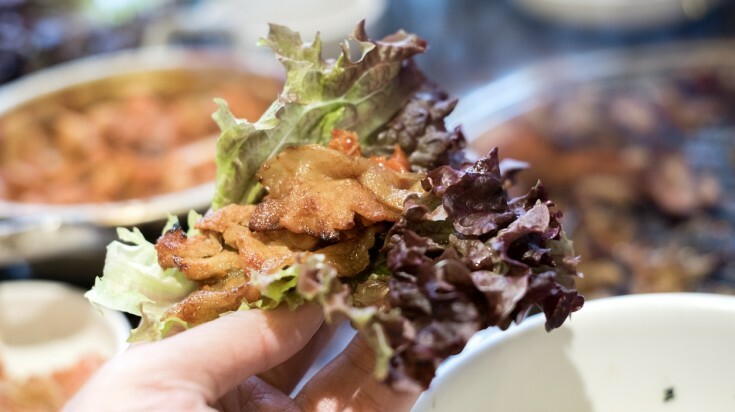 Tip: Enrich the flavours of samgyeopsal with a variety of ssam vegetables such as lettuce or pickled radish paper and dipping sauces like ssamjang made of chili or soy bean paste. Bibimbap is Korean food dish that includes a variety of vegetables, meat and kimchi and is topped with a sunny side up egg. 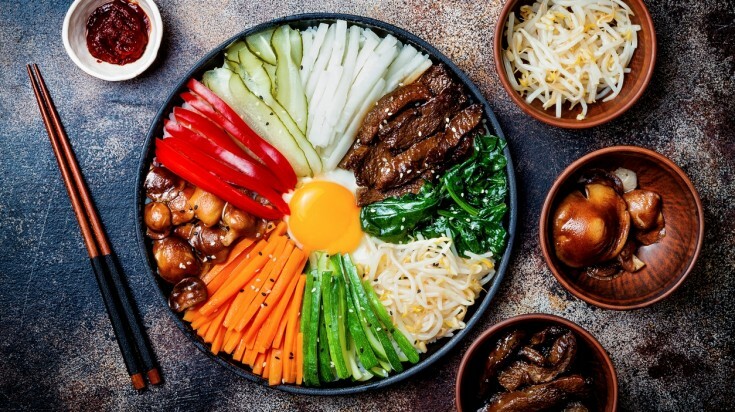 Served in a bowl, bibimbap has an abundance of flavours depending on what vegetables and meat are used during the cooking process. Originally known as goldongban during the Joseon Dynasty, this typical Korean food was renamed in the 20th century. This traditional dish is a must eat on the eve of the Lunar New Year for most Koreans. 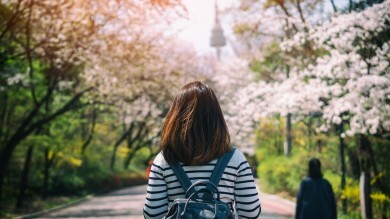 Tip: If you are searching for the best bibimbap, then travel to the capital city of Jeonju in the North Jeolla Province where you will find a version that dates back to the Joseon Dynasty. 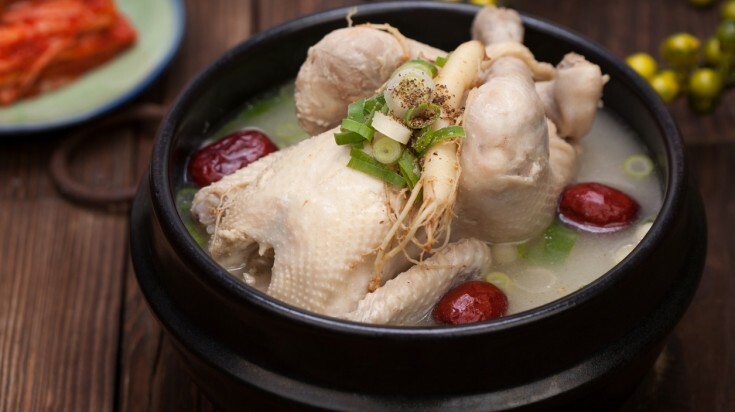 This chicken and ginseng soup is packed with flavours from garlic to sweet rice. Samgyetang is a staple during the hot summer season when eating hot soup is believed to help your stamina and health. Koreans like to devour this soup on three particular days of the lunar calendar which are Chobok, Jungbok and Malbok. Tip: Samgyetang is best served with a glass of insam-ju, a type of ginseng wine that comes in a bottle with a piece of real ginseng root inside. Japchae is another traditionnal Korean food that you can experience while on vacation. 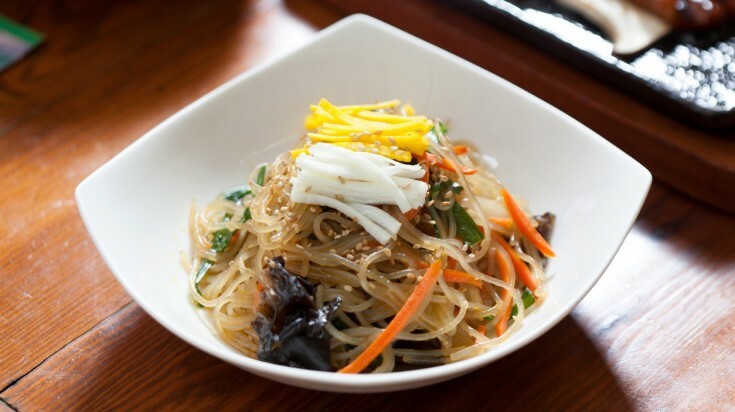 Japchae, also known as glass noodles are transparent noodles made from sweet potatoes. This dish can also be eaten as a banchan (side dish) and are stir-fried with a variety of vegetables and meat. The sweet-gingery flavour of japchae makes this a must eat when you are in Korea. Good to know: Japchae is very similar to Chinese chopsuey and is considered to be the king of banchans or Korean side dishes. This Korean porridge dish is made from pumpkin and rice cake balls made from glutinous rice. Hobakjuk is sweet and full of nourishments and like chicken soup, it is often served to people recovering from sickness. The preparation of hobakjuk is simple and some people will add red or black beans to the savoury broth. 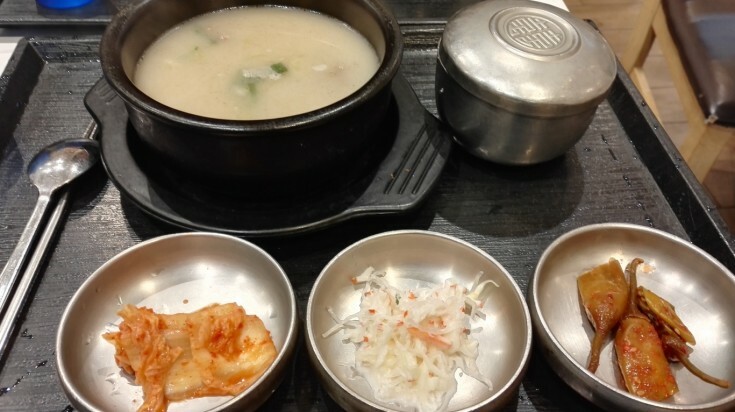 Tip: Hobakjuk is a favourite Korean dish for breakfast whether served hot or cold. Like other soups a spoon is used because Koreans believe that it’s impolite to put a bowl to your mouth. Hotteok is a pancake type Korean food which is also a popular street food in Seoul. Street vendors love making this dish because of the variety of fillings one can use. Hotteok is prepared with the same ingredients that you would find in a traditional pancake such as flour, sugar, yeast, milk and flavoured with cinnamon as well as peanuts. 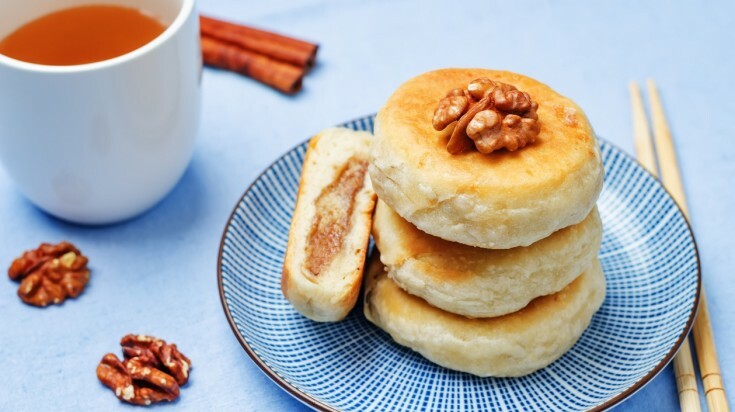 Believed to have originated in China, hottoek in Korea are vastly different from the meat filled Chinese variety with most Koreans preferring their hotteok to be on the sweet side. 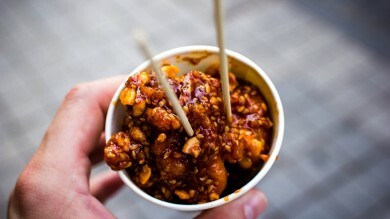 Tip: Hotteok is best consumed with your fingers like a doughnut during the winter months. The varieties of hotteok found throughout Korea are based on staple ingredients found in the area. Along the coastlines one can find a hotteok filled with squid and other seafood. 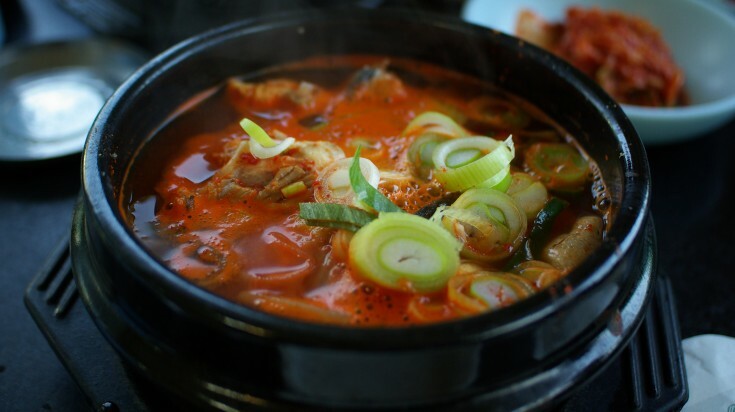 Seolleongtang also known as ox bone soup has been a typical Korean food for centuries dating back to the Joseon Dynasty. The savoury taste of the milky white broth is highlighted by the simplicity of preparation which involves beef bones, garlic, scallions and black pepper. This delectable soup can be served with rice or noodles and it’s not uncommon to find a few thinly sliced beef strips to enjoy. Tip: Travellers will find the best seolleongtang in Seoul where this staple dish is prepared in almost every restaurant. There are numerous other traditional Korean food dishes that you will encounter but the most important thing to remember is that rice is a staple diet. When you are eating rice, never raise your bowl of rice from the table. Unlike other Asian countries Koreans use a spoon to eat their rice. Now that you know what to eat in Korea, you should be prepared to broaden your cultural horizon by eating the culinary delights offered in the Land of the Morning Calm.